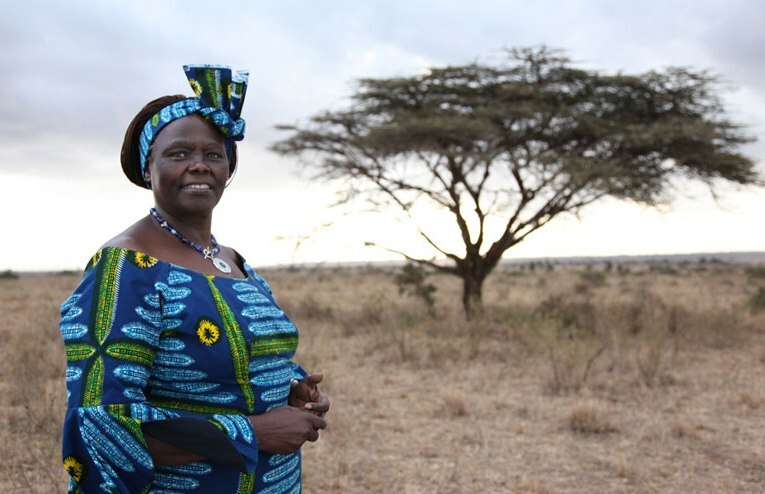 That was a typical remark by Wangari Muta Maathai, the Kenyan environmental and political activist who has just died. In the 1970s, Maathai founded the Green Belt Movement, an environmental non-governmental organisation focused on the planting of trees, environmental conservation, and women’s rights. The Green Belt Movement in a profile about their founder counted the many roles she played: environmentalist; scientist; parliamentarian; founder of the Green Belt Movement; advocate for social justice, human rights, and democracy; elder; and Nobel Peace Laureate. “”It is the people who must save the environment. It is the people who must make their leaders change. And we cannot be intimidated. So we must stand up for what we believe in,” Wangari Maathai kept saying. As a tribute, I have assembled a few links to interesting online videos featuring her. Taking Root, a long format documentary, tells the dramatic story of Wangari Maathai whose simple act of planting trees grew into a nationwide movement to safeguard the environment, protect human rights, and defend democracy—a movement for which this charismatic woman became an iconic inspiration.